If you’re running a catering business, such as a delicatessen, coffee shop or sandwich bar, your branding and staff uniform is a key way to get your company trusted and known. Your people are an important part of this, so getting them the right uniform makes all the difference. 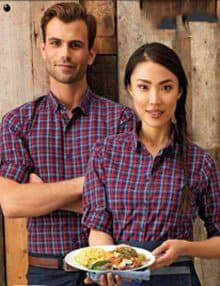 Banksford are equipped to help provide your tea room, farm shop or community café business with the catering uniforms which are suitable for purpose so that you make the right impression every time to your diners. Small catering businesses have to work twice as hard as their big name counterparts to get themselves noticed, and the right uniform can be instrumental in keeping your business working for you, your tea shop staff and your customers. 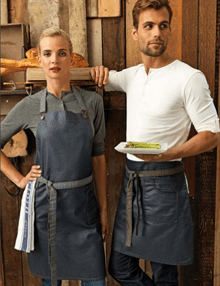 It doesn’t matter if you require uniforms for sandwich bar, coffee shop, farm shop or restaurant uniforms – the best uniforms you can get should be high on your wish list. 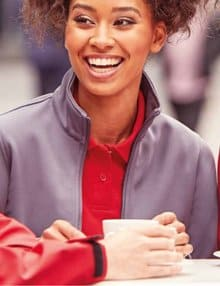 Because many roles in the business will involve multi tasking, you’ll want a practical catering uniform which allows tea room employees to carry out all their duties, whether they’re behind the scenes working in food preparation, or customer facing and handling payments and orders. 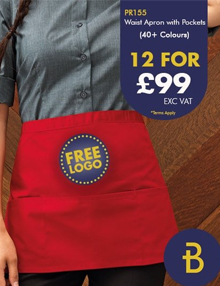 You’ll find many options available to you in Banksford’s extensive hospitality uniform catalogue, and there’s bound to be something which fits your vision of the perfect uniform for your café or deli uniform. 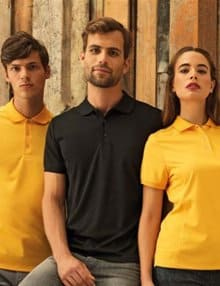 Choose from formal shirts, trousers and waistcoats for waiters, or more casual choices like polo shirts or t shirts which make fantastic uniforms for volunteers if your business benefits a charity. All of our items are available in a huge selection of colours, finishes and fabrics, which are sure to match your organisation’s existing colours or event theme. A small business doesn’t mean missing out on big opportunities. Let us help set you up with deli and cafe uniforms for staff which will launch your business into the limelight and make people take notice.